As I think I might have mentioned before, winter and seasonal beers are somewhat in vogue here in Germany. And also as mentioned, the multinational brewers aren't shy of spotting trends and jumping on them. 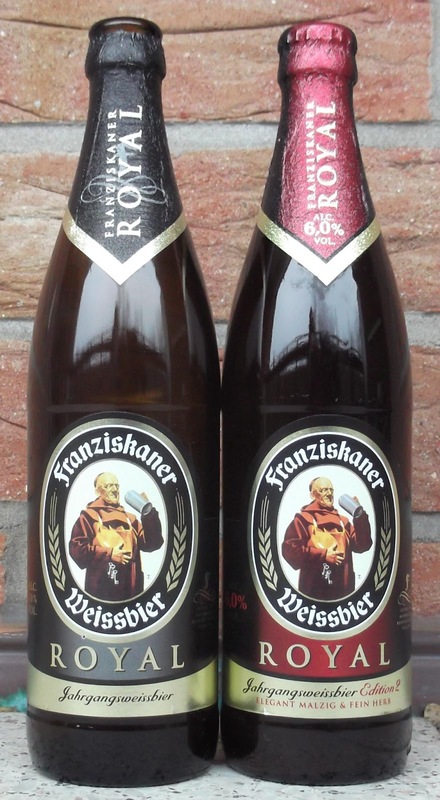 It was no surprise then to find the supermarkets selling a new weizenbock from AB-InBev, namely Franziskaner Royal Jahrgangsweissbier, or Annual Vintage Weissbier. Just to confuse things, it was labelled “Edition 2” - they also brewed a Royal Jahrgangsweissbier in 2011, but that one was a 5% blond hefeweizen and carried no edition number. Presumably the marketing guys failed to imagine that the brewers might want to do – shock, horror! - something different for next year. A bit of fun ensued on Untappd, as I and a couple of others tried to unravel the strands in the support forum. 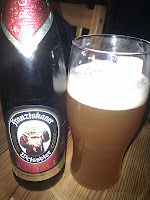 Somehow the site had acquired three separate listings for Royal Jahrgangsweissbier – 2011, 2012 and Edition 2 – and to make it worse, each of them also had at least one rating for the 'other' version, put in by confused (or careless) drinkers. Until recently I’d only tried the Edition 2 that was released late in 2012. However, I happened to be in Hol’Ab! a couple of weeks ago shopping for our trip to England, and I spotted a crate which had some of the tell-tale black foil caps as well as the red ones that were more familiar to me – this and the label colour make it easy enough to tell the two apart – once you know what to look for, of course, as the confused Untapprs had demonstrated. So what are they like? To be honest, the first edition is fairly run-of-the-mill. Yes, it's a good Kristalweiss, but there is not a lot to mark it out from other good Kristals – and there's certainly nothing Royal about it. The second edition is a different kettle of fish. Gone is the megabrewer mundanity and in is a spicy and tangy dark Weizenbock, somewhere between an amber and a dunkel. 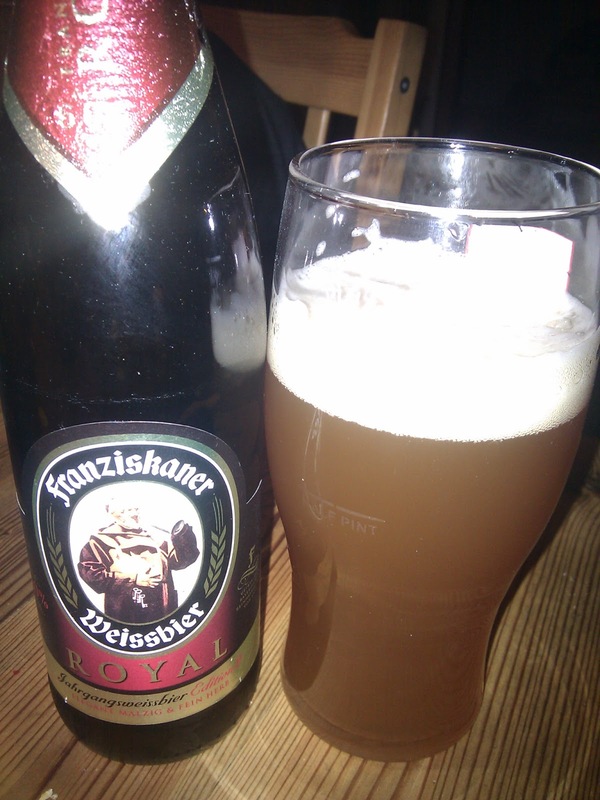 It certainly has a bit more character than the average Dunkelweiss – worth a try, I'd say.